Welcome to UK TV Repair, we provide residents of Birmingham a TV repair team that you can rely on when your television becomes faulty. 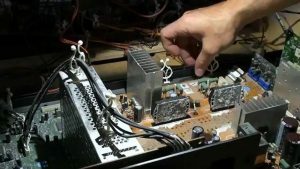 If you are looking for a Birmingham TV repair then you have came to the right place. TV’s that we have repaired since we have been established have come in a variety of different sizes; makes, models with a whole range of different problems. We repair LED televisions, LCD televisions, OLED televisions and Plasma TV’s. If you are expericing any problems regarding your television simply give our team a call and we will book you in for a home visit where an engineer will pick your television up before taking it to our Birmingham workshop where the repair will take place. Birmingham TV repair isn’t the only thing we specialise in. As well as our reliable television repair service we offer a customers a TV installations service if you are having difficulty fitting you tv to your home cinema system. All areas in Birmingham are covered by our technicians and surroundings so if you don’t officially live in Birmingham still give us a quick call and we will see what we can do for you. Our Birmingham TV repair service is cost effective and fast, you wont find yourself waiting around for your TV to be returned fully repaired and back in working order. Once your television has beenm repaired you will revcieve a warranty, so if anything goes wrong we’ll be right back out with you within a flash! We pride are selves upon a Birmingham TV Repair service that you can rely on. All repairs are completed in a highly professional manner and we always put you, the customer, first. If you require a television repair simply give us a call at UK TV Repair today on 0121 371 0011.